WHILE some members of the Transit Police Unit (TPU) want to be absorbed into the TT Police Service (TTPS), others are calling for the necessary tools to effectively do their jobs. Members of the unit said they had strayed from their mandate and were now reduced to just issuing tickets for illegal use of the Priority Bus Route (PBR). "We are no longer transit police but ticket police," an officer told Sunday Newsday, adding their duties were more extensive than meeting a ticketing quota. The TPU was formed in September 2005 following a Cabinet decision taken in May that year. A departmental order obtained by Sunday Newsday dated December 12, 2005, by then police commissioner Trevor Paul said the unit fell under the police authority with a focus on the PBR and both Route 1 and 2 maxi hubs at City Gate in Port of Spain. Members were once under the authority of the senior superintendent of police in charge of the Highway Division. Their vehicles were to be outfitted with specialised surveillance and computer equipment linking them to the E-999 Rapid Response Unit. According to the National Security Ministry website, in 2007, the Office of Law Enforcement Policy (OLEP) was given authority over TPU. Following this, the officers said they no longer fulfilled their mandate. OLEP is led by Keith Reneaud. Reneaud said he was a "public servant" and, therefore, could not give any answers to the media regarding the issues raised by the officers. TPU officers' duties included covert operations in maxis along the PBR to deter robberies. The officers said they were crippled by the removal from their vehicles of the equipment linking them with their police counterparts. There are now limited vehicles, making responding to crimes along the PBR difficult and, in most cases, they have to submit their jurisdiction to police officers because they can't respond in a timely manner because of a shortage of vehicles. One officer said maxi drivers formed a WhatsApp group and have begun assisting each other because they lack faith in the TPU. One TPU officer said, "People will look at us and think we don't do anything but give out tickets but that is all they want us to do. The vehicles are left at base and used only in the morning for issuing tickets. When we get a report we have to call police or jump in a maxi to respond. Officers are disheartened and afraid because of victimisation." 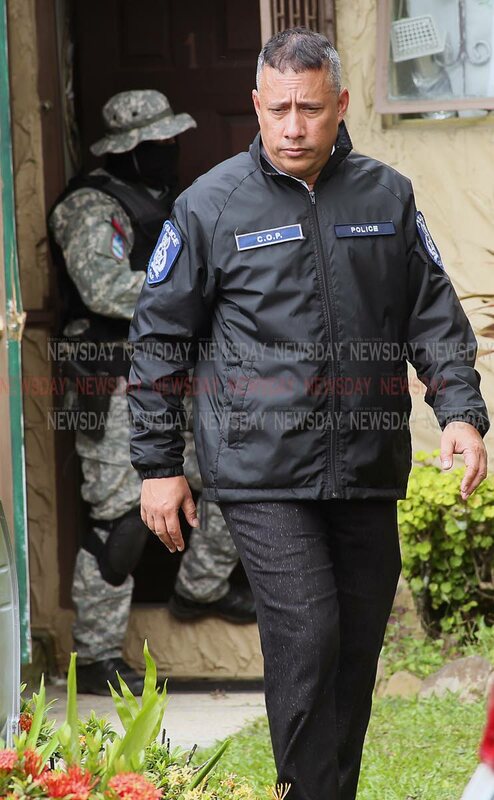 Police Commissioner Gary Griffith on Saturday said he was not pleased that a request by 13 transit police constables to be absorbed into the TTPS was leaked to the media, before he received the letter. He said he was not aware of the letters addressed to him dated November 19, 2018, and January 10, adding that none of his officers had reported that transit police had sent any correspondence. Although he is willing to look at the curriculum vitae of the officers, Griffith said the fact that their request was leaked concerned him. He added he would meet with the officers when he received the letter. In the January letter, the officers said: "Dear Mr Griffith, I, (name and regimental number stated) along with the following officers are currently attached to the Transit Police Unit. We are kindly requesting reassignment to any available units/stations within the TT Police Service." In the November letter, the officers said they wanted to meet with Griffith to discuss the overall supervision of the unit, their location at the Vehicle Management Corporation of TT (VMCOTT), Beetham Gardens, Port of Spain, the reassigning of officers and unattached officers. Griffith, in response to Sunday Newsday's questions, said: "I need to see the letter before I comment... I checked throughout and TTPS has at no time received any correspondence. It is curious to ascertain if and how the media would get a letter addressed to me and I have not yet seen it. And why send to the media? If this was done to put pressure on me to act, they are barking up the wrong tree because I see it as very immature behaviour, if this is what was really done instead of communicating directly to me." Newsday asked if consideration would be given to the officers and whether he had the authority to absorb them into the service. Griffith responded: "I need to see the CV and appraisal of the applicant. Leaking correspondence to the media is not a positive step. If persons have that same attitude and get into police stations, what is to stop them revealing confidential info from citizens. It is this kind of behaviour I am trying to remove. Not absorb." Reply to "Let us join TTPS"